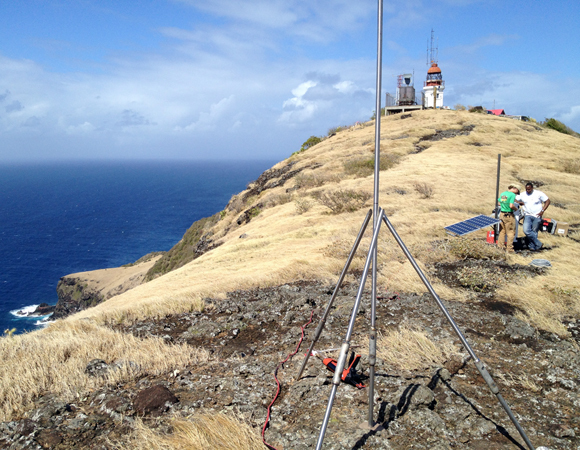 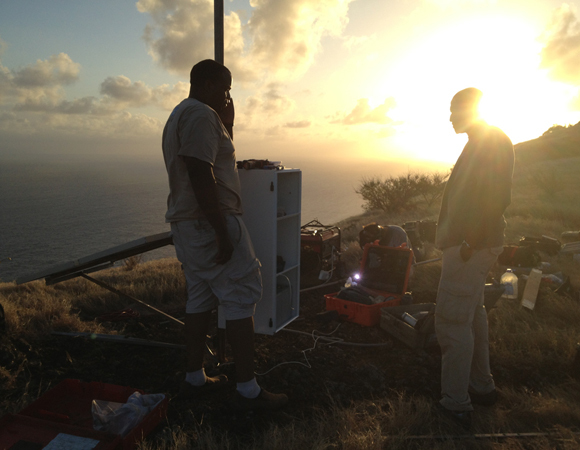 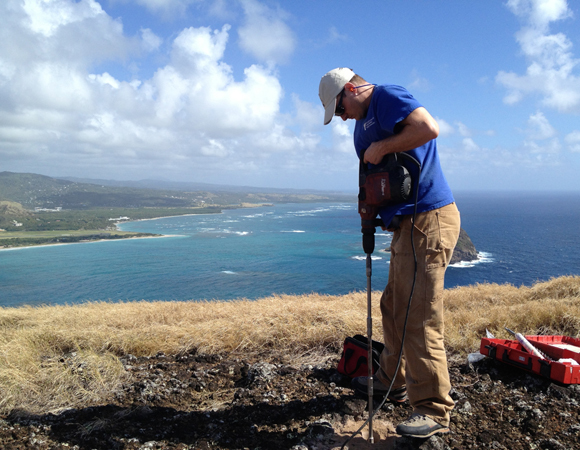 UNAVCO engineers, in collaboration with the University of the West Indies and Saint Lucia’s Ministry of Physical Development, Housing and Urban Renewal, installed cGPS sites CN47 and CN04 in Saint Lucia during a 2.5-week trip spanning February and March 2014. 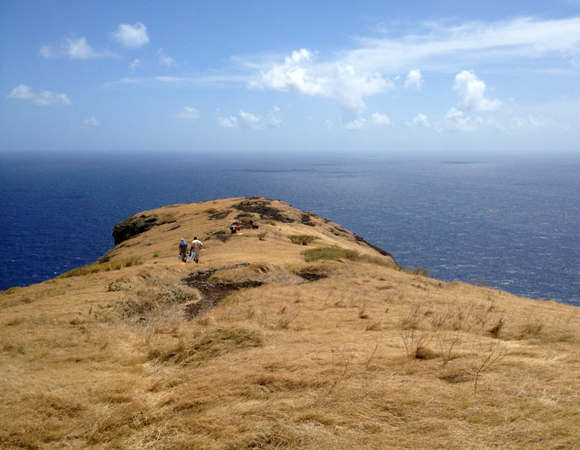 Saint Lucia is located near the center of the Lesser Antilles. 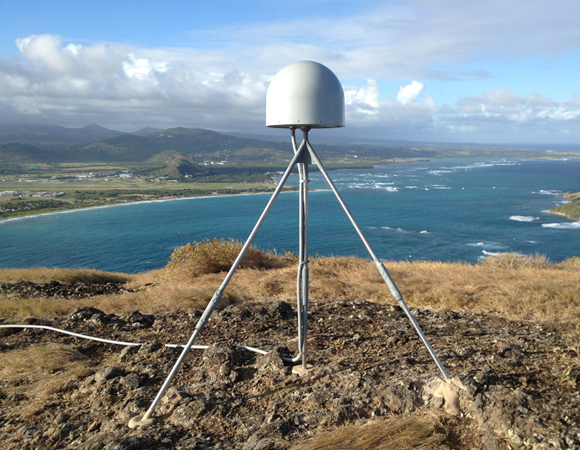 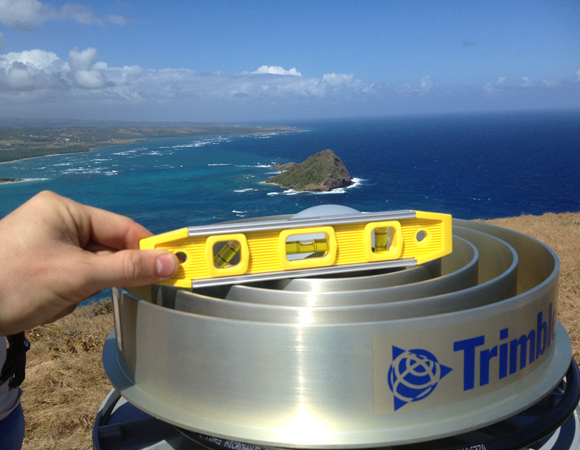 Since there are no COCONet sites located immediately north on Martinique and south on Saint Vincent, these two sites will provide important data for this eastern region of the Caribbean plate. 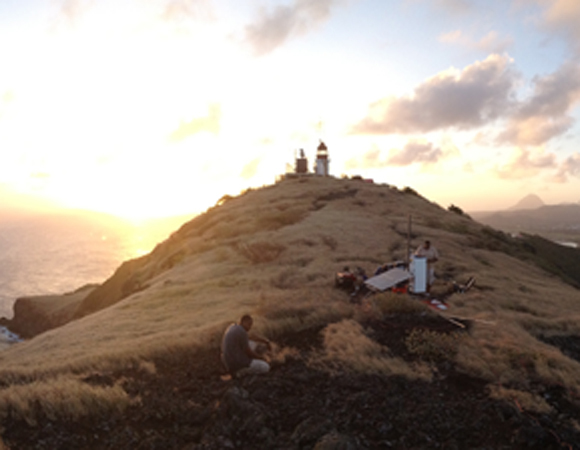 Site CN47 is located near the Vieux Fort Lighthouse, which is the southernmost point of Saint Lucia. Surrounded on three sides by a 200-foot cliff, CN47 experiences 30 mph winds on a daily basis. 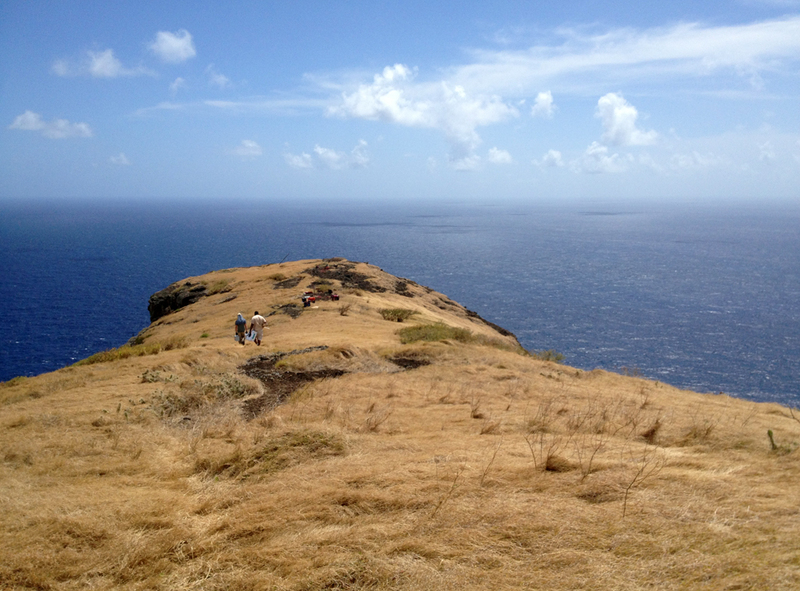 This location was chosen in part for its exposed basaltic bedrock, 24-hour security, and clear sky view. 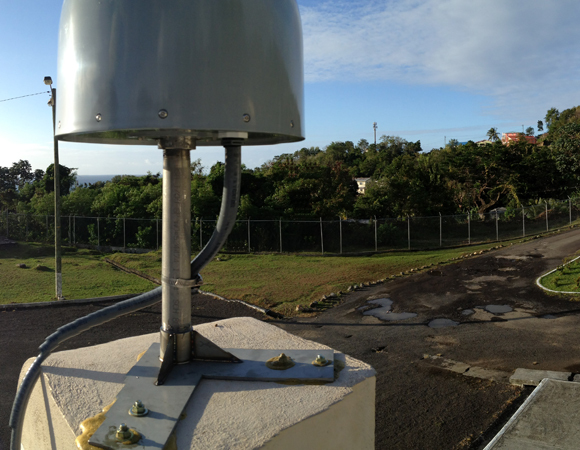 The telemetry consists of a radio shot to the Cable and Wireless building down in Vieux Fort. 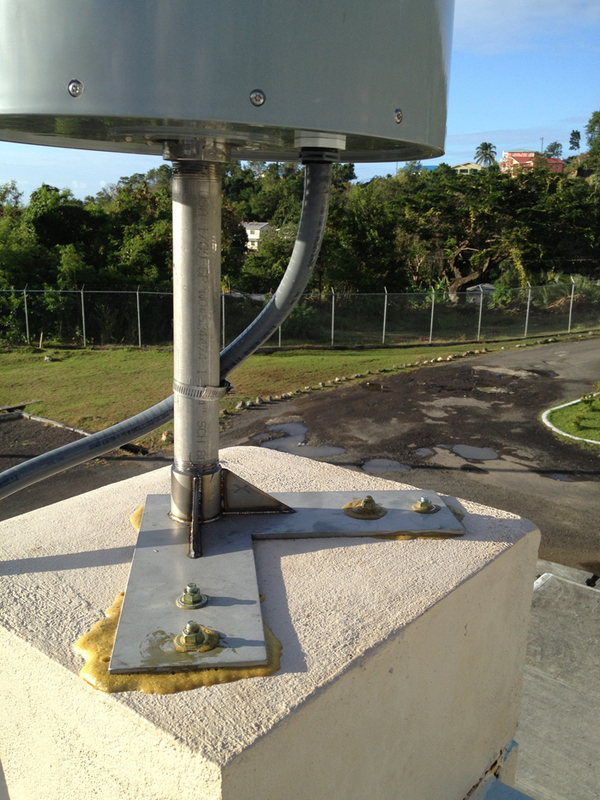 Saint Lucia’s Ministry of Physical Development, Housing and Urban Renewal was instrumental in getting equipment through customs, and has expressed interest in using the CN47 GPS data for surveying purposes. 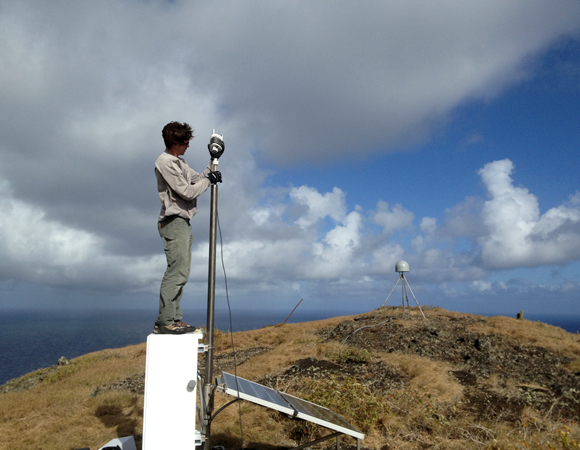 UNAVCO engineers will be upgrading this site to allow for real-time data access early next quarter. 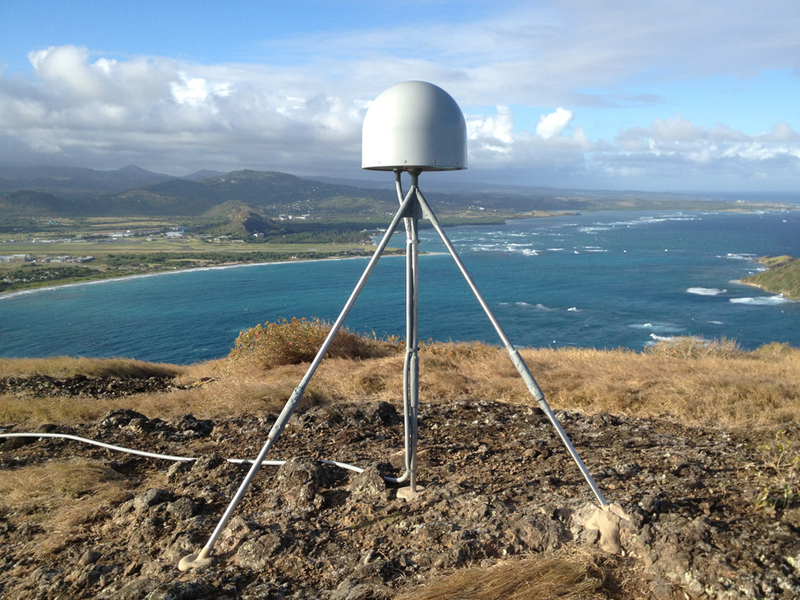 Like other COCONet installations, CN47 will provide raw GPS data, GPS precipitable water vapor (GPS-PWV), surface meteorology measurements, and time series of daily positions, as well as a station velocity field to support a broad range of geoscience research. 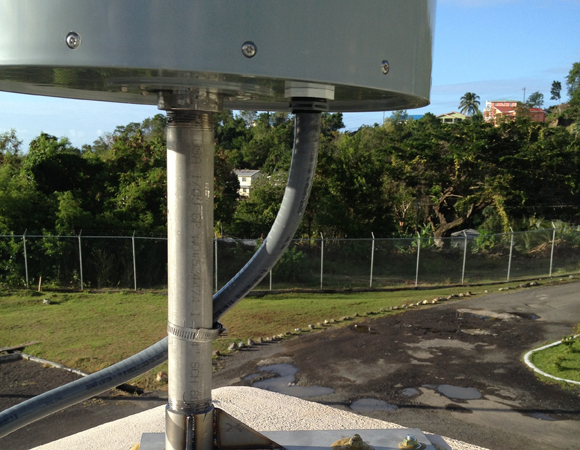 On the same installation trip, CN04 was installed on the roof of Saint Lucia's National Emergency Management Office (NEMO). 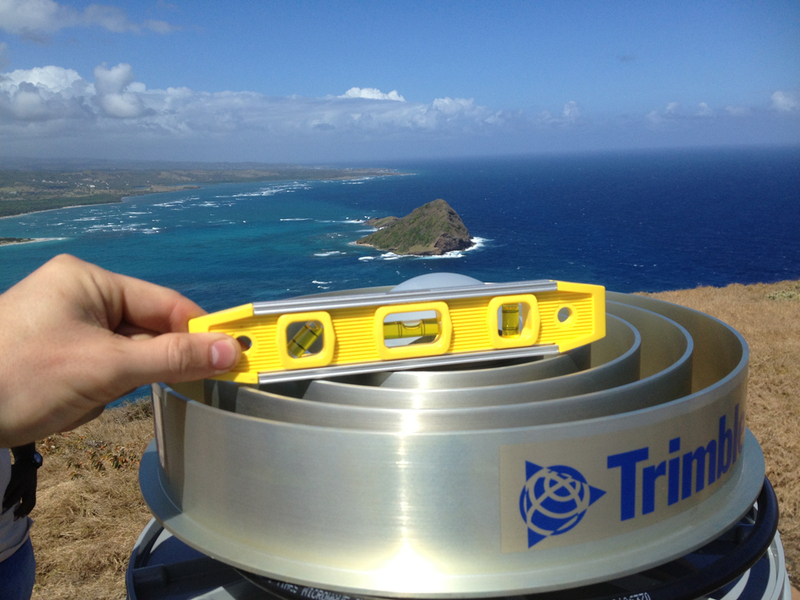 CN04 is another prime location for a COCONet installation, with ample security and a broad sky view. 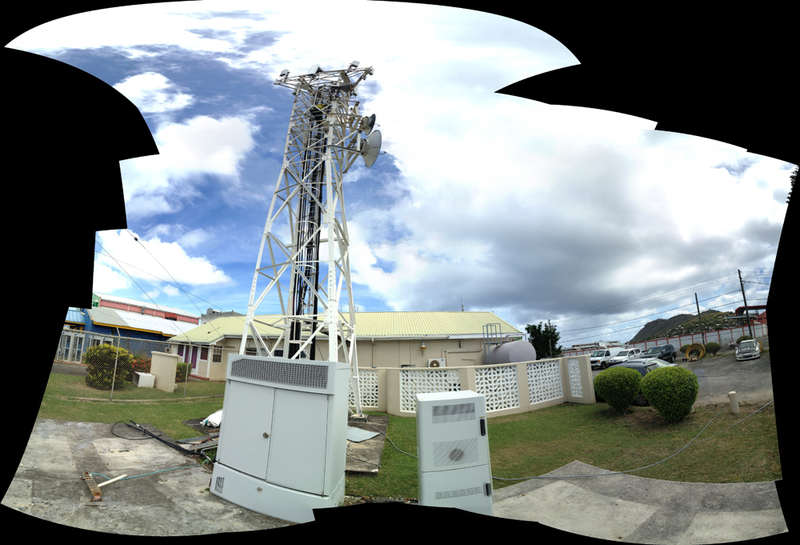 The site is connected directly to a router inside the NEMO building. 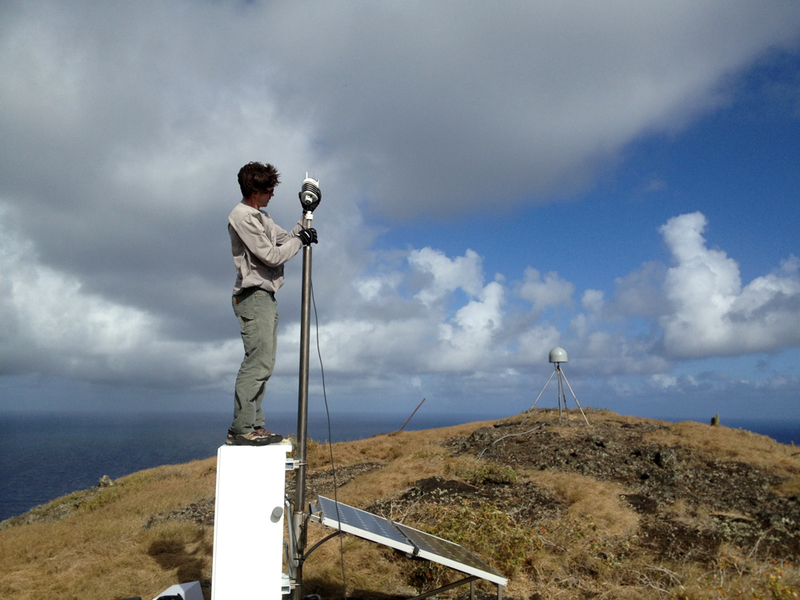 As Saint Lucia can experience severe hurricanes, NEMO will benefit from the data collected from the weather station. 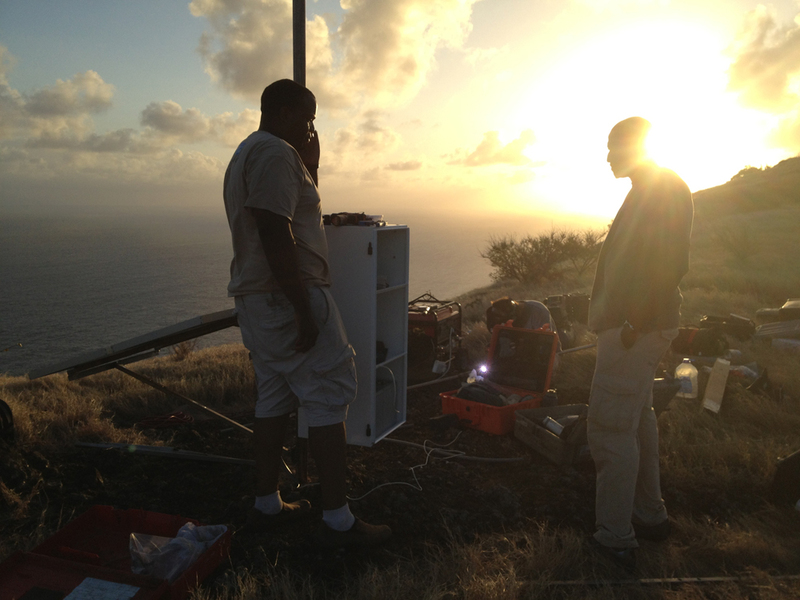 Sites CN04 and CN07 were installed through collaboration between UNAVCO, University of the West Indies, Saint Lucia's Ministry of Physical Development, Housing, Urban Renewal and Local Government, and Saint Lucia's National Emergency Management Office (NEMO). 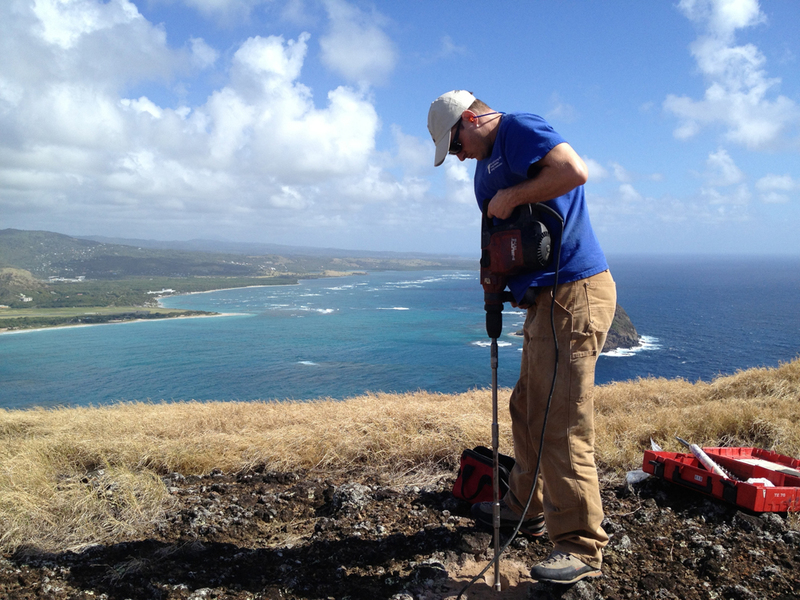 UNAVCO engineers Mike Fend and Jacob Sklar worked closely with Machel Higgins of the University of the West Indies Seismic Research Centre; land surveyor Philip Hippolyte, Deputy Chief Surveyor Vincent Jn. 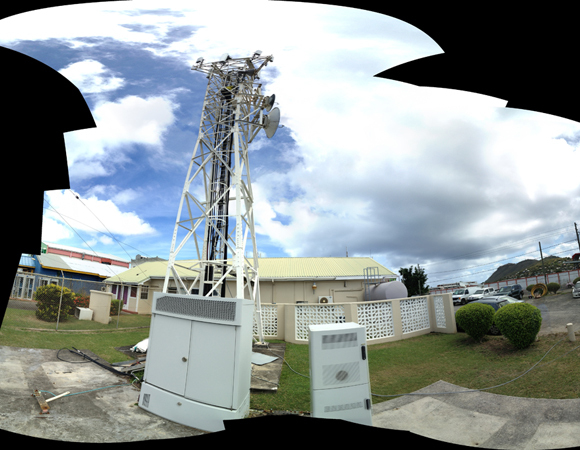 Baptiste, and Deputy Permanent Secretary Hildreth Lewis of Saint Lucia's Ministry of Physical Development, Housing, Urban Renewal and Local Government; and Mr. Malcolm Job at the NEMO office.